Viardo was a 1973 (?) Cliburn Competition winner, who then ran afoul of the Kremlin who revoked his travel visa as Kremlin reportedly considered him a flight risk , visa not reinstated until 1988. Absolutely charming music; thank you for posting this. Indeed, Vladimir Viardo is quite the pianist. 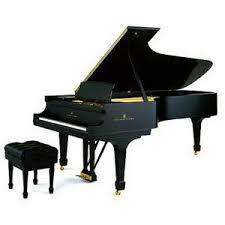 I had an opportunity to prepare his Steinway for a live performance of the Rach 3 some years ago. A very nice gentleman as well, who loved to smoke! He put the piano through its paces, and played an encore afterwards. The Shostakovich Preludes, Op. 34 was issued on CD [Elektra-Nonesuch 79234] coupled with the Shostakovich Sonata No. 2. Rach3: Thanks for posting Viardo, whom I hadn't heard of. Stunning playing that I enjoyed very much. The disc Lance mentions is still available on amazon for about $4.